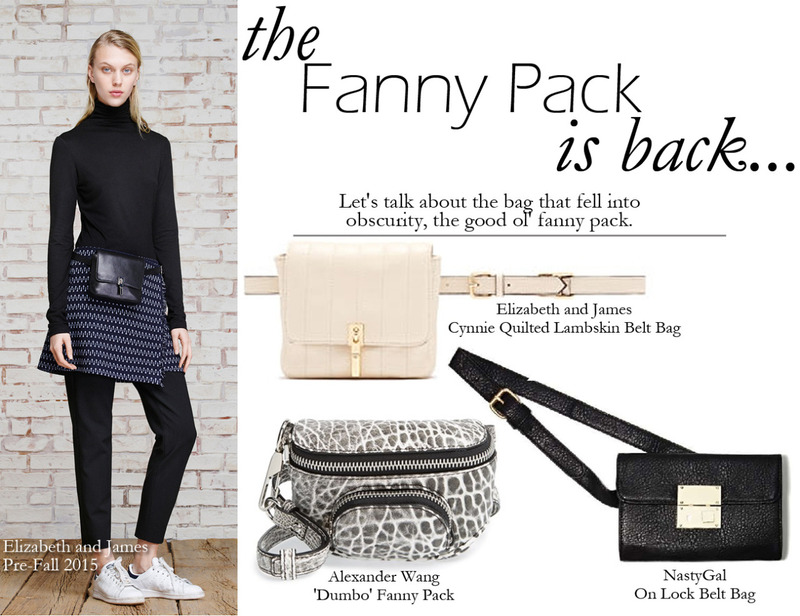 Chic Inspector: The Fanny Pack is Back! Is the fanny pack back and better than ever?! Yes, the fanny pack has always been associated with being a tourist that would hold a passport, maps and other items needed for a vacation. But now the once clunky bum bag has transformed into a modern day bag. Brands such as Alexander Wang and Elizabeth and James have their own of fanny packs in their line that makes fannys' cool again. Are you excited about the resurgence of the fanny pack?